Roland developed a passion for fitness while a student at UC Berkeley. As a member of the Taekwondo program, he began lifting weights to get stronger and stay in shape. 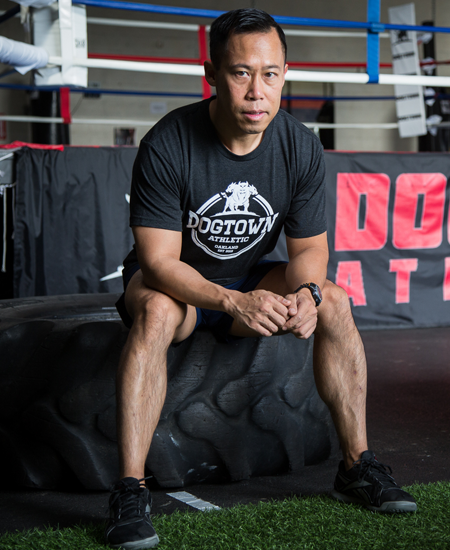 Soon after graduation, he acquired his personal trainer certification through the American Council on Exercise (ACE) and has been working as a trainer ever since. 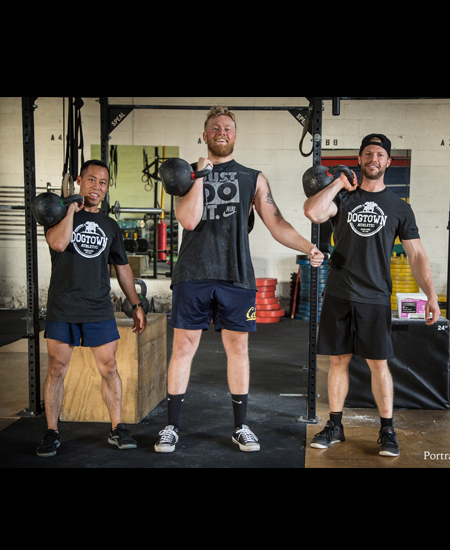 Upon discovering the benefits of High Intensity Interval Training (HIIT) and CrossFit, Roland obtained the CrossFit Level 2 trainer certification, along with a number of specialty CrossFit certifications, including Movement and Mobility, Endurance, Weightlifting, Powerlifting, and Gymnastics. 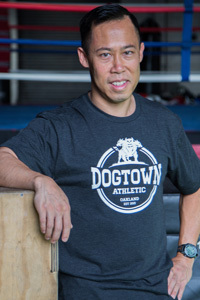 Additionally, he is certified as a USA Track & Field Level 1 Coach, USA Weightlifting Sports Performance Coach, and a 3rd Degree/Dan black belt in Taekwondo. Over the last 15 years, Roland has trained competitive athletes, pregnant women, clients with multiple sclerosis, clients with prosthetic limbs, clients over 65 years old, and weekend warriors. Based on that experience, he believes fitness is for everyone. Come join the Dogtown family and experience that for yourself!